Want to feel like you are in Hawaii? 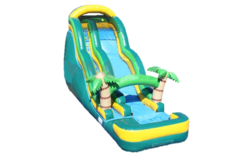 Rent our Tropical Palm Tree Water Slide for your next event and you will feel like you are. Slide into the Tropical weather as you and your family enjoy this 18' Water Slide. Make your event into the best party in your neighborhood with one of our best & biggest inflatable Water Slides. Add in some of our concession machine rentals and some Backyard and Carnival Games to round out your next party. 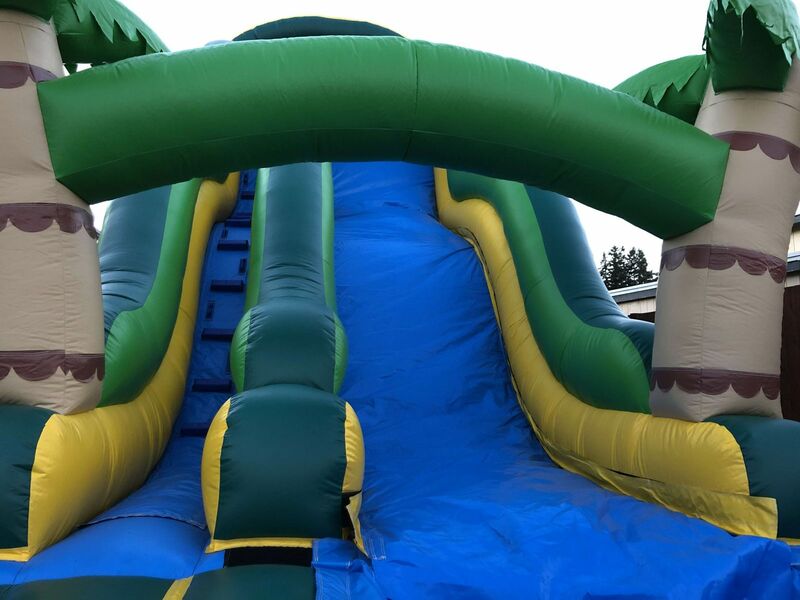 Cool Down with this 18' Tropical slide! Convert your backyard into a tropical paradise! 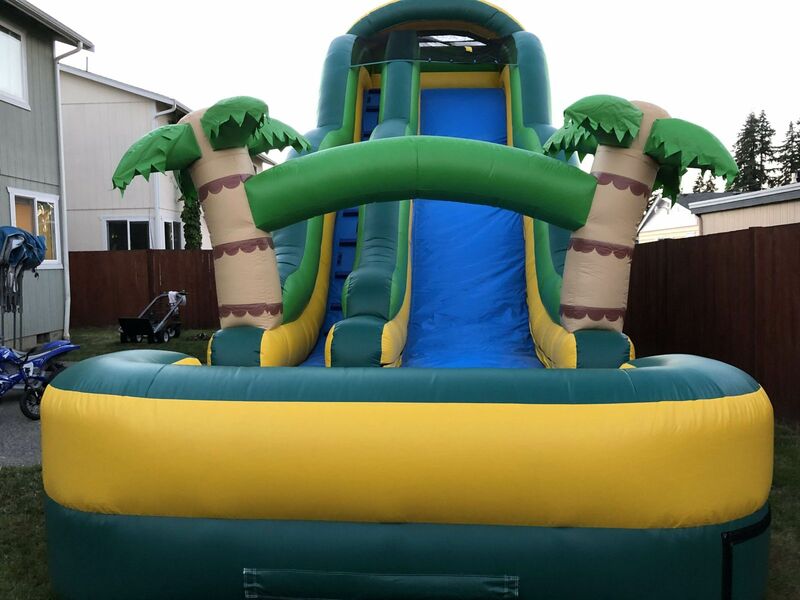 Everyone of all ages from young to old will love this 18' slide reflecting Island Paradise foliage at your next outdoor event! Climb to the top, then take a awesome slide down the Slide and enjoy the splash down into the attached pool at the bottom!